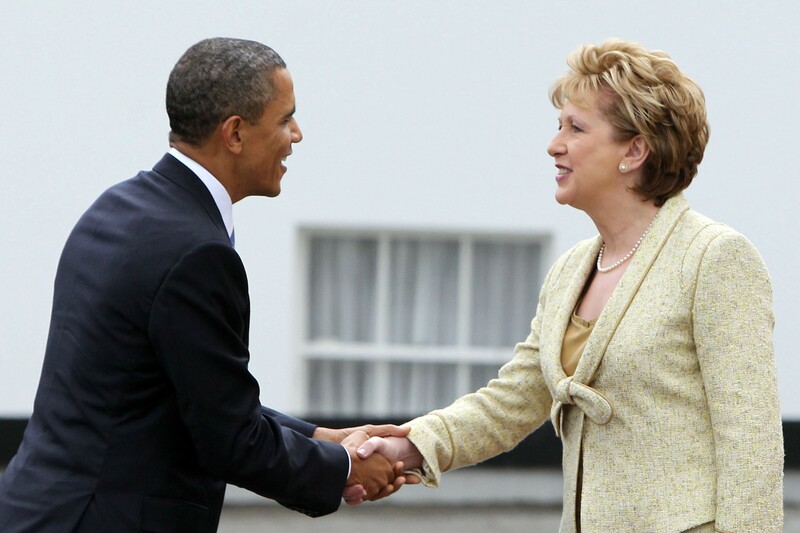 The ever more unhinged former president of Ireland, Mary McAleese, railed against the Catholic Church in an interview with the Irish Times this week, denouncing infant baptism and praising gay rights. Mrs. McAleese said she does not plan to attend the upcoming World Meeting of Families in Dublin but will be marching in the Dublin Gay Pride Parade next Saturday. She will march “under the BeLongTo banner” and with “the members of our own family, straight and gay, young and old, we’ll all be there,” she announced. A Church that is “homophobic and anti-abortion is not the Church of the future,” McAleese told participants in the conference, which was organized by the Catholic protest group Voices of Faith and hosted at the world headquarters of the Jesuit order in Rome. Scheduled to coincide with the socialist-inspired International Women’s Day, the Voices of Faith conference sought to demand a greater say for women in Church governance.